You Are Here: Home > What are the 2018 Acura ILX Safety Features? The 2018 Acura ILX is not only an attractive luxury sedan, but also a safe one, and San Diego drivers completely rely on the Acura ILX safety features found within. From its advanced safety design that includes an ACE body structure and collision mitigation braking system, down to the safety technology found in driver-assistance features like the lane keeping assist system or the blind spot information system, this vehicle has everything to keep you completely out of harm’s way. Not all vehicles can claim to have the best design features, but the Acura ILX can. This model was designed with safety in mind, which is why it’s entrusted with some of the best safety design features on vehicles today. The Acura ILX comes with plenty of driver assistance technology features that make driving more enjoyable and safe every time you’re behind the wheel. 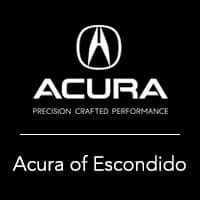 Explore more safety possibilities on the ILX with AcuraWatch™, then see the the 2018 Acura ILX for yourself at Acura of Escondido. We have a great selection of models that all Carlsbad drivers can appreciate, so stop our dealership to explore more of the features in the ILX interior. You can also contact us at (844) 695-4328 to learn more about our current specials or lease deals.